Is there air leaking in and out causing hot or cold drafts? Are your energy bills running high, could you be heating/cooling the wide open spaces? Is that door nailed or painted shut, thus totally unsafe exit in case of an emergency? Is your door hard to open/close, or lock securely? Is your door old, cracked, stained, or just plain broken, is it a pain to have around? Replace the Door Yourself or Hire the Experienced Pro: this is one of the really tough choices, (either a carpenter, contractor, or professional installer) which choice is right for you? Do you enjoy home projects? Are you Jack of All Trades and Tool use? Do you have that perfect helper who you enjoy working with and is available to help you? Do you have the time needed to complete the project in one afternoon or weekend? Do you have all the right tools to do the job? If this is not what you had in mind for your Saturday and/or Sunday there are a number of reliable door and window installers that can provide you references. Check out examples of their prior work and customer satisfaction. Do they offer a guarantee of workmanship? Cost to remove any trash/debris created at the work site. Once you hire a contractor/carpenter/installer make sure you're prepared for them. Looking on the internet it appears the consensus is generally hire the pro for all windows & exterior doors, or anything really expensive door, unless you are the local handy expert. As residents and professionals here in Tampa Bay for over 20 years, we hope you find the information provided useful in your search for the perfect door or accessory to protect what is important to you and those you care about. 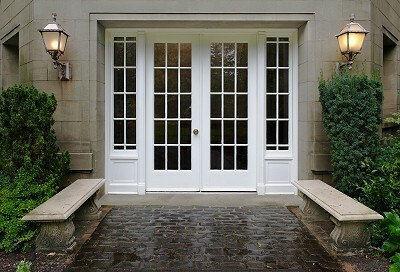 CR Doors sell both Commercial or Residential Doors. The company's provides sales, service and installation in the Tampa Bay area.